Kia joined this year’s Consumer Electronics Show to unveil the Niro EV, an almost production-ready version of its first electric crossover, but it’s also using the Las Vegas event to introduce a new feature to its UVO infotainment system. Starting 2018, certain models will have infotainment systems compatible with Google Assistant, which will enable owners to execute a variety of remote commands. 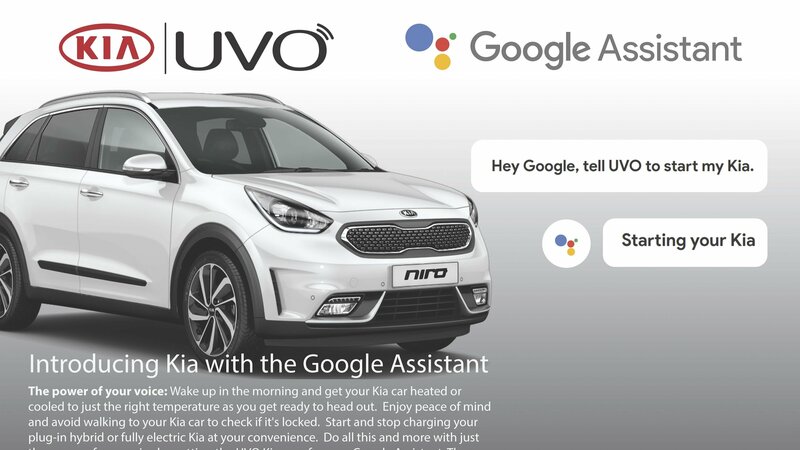 Likely to extend across the entire Kia range in the future, integration with Google Assistance is available only for models equipped with the UVO system so far. The list includes the Niro PHEV, Soul EV, Optima PHEV, and the K900 flagship sedan. The Google Assistant can also provide real-time answers, activate streaming music services, smart home devices, and smart car and connected car technology. It will basically provide seamless connectivity directly into Kia vehicles and make vehicle ownership an easier, more modern experience. Google Assistant is available on select Android and Apple iPhone phones, smart speakers like Google Home, and select tablets. 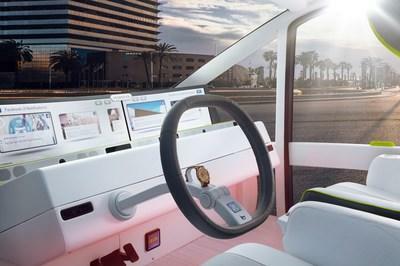 As part of its future autonomous mobility service, Toyota has introduced the e-Palette Concept at the Consumer Electronics Show. If you’re a fan of aesthetically pleasing concept vehicles, now’s the time to turn away because the e-Palette is anything but attractive. The concept is actually just a box on four wheels, albeit one that serves a lot of different purposes depending on who’s using it. 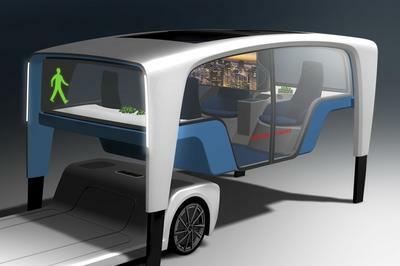 It may not be the most attractive concept in the world, but don’t sleep on the potential of Toyota’s e-Palette Concept. What it lacks in style, it makes up for in function. 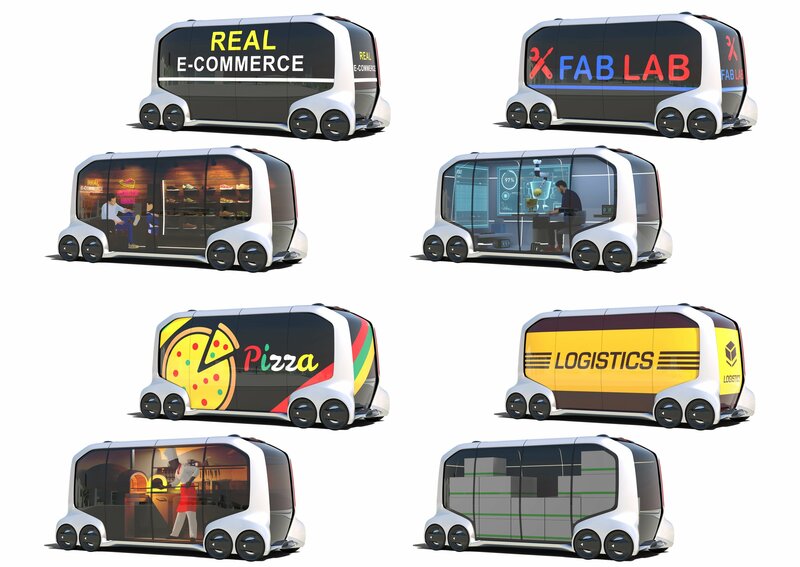 Toyota sees the concept as a multi-purpose smart mobility vehicle that can be used in different ways, including as a business platform for different sorts of companies. Whether it’s Uber using it as a ride-sharing service or Amazon using it as a parcel delivery vehicle, the e-Palette Concept is versatile enough to accommodate them. The concept’s potential look to be intriguing enough that companies like Amazon, DiDi, Mazda, Pizza Hut, and Uber have all signed up as partners in the project. 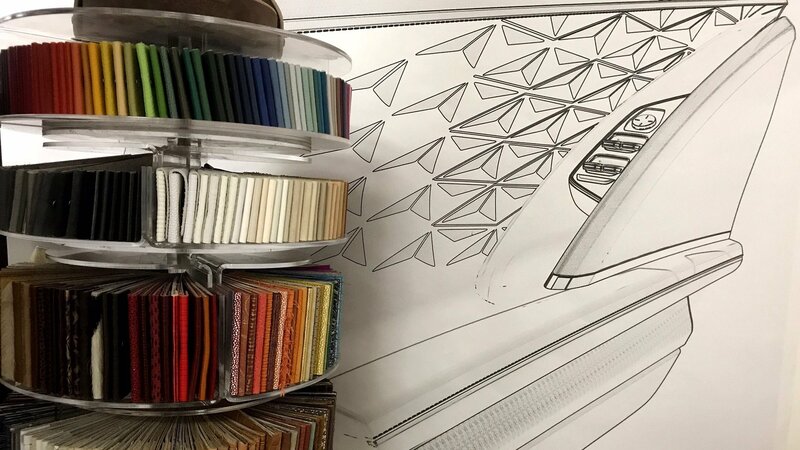 From a physical perspective, the e-Palette Concept has a body that comes in three different lengths, ranging from 13 feet to 23 feet. Its boxy design helps increase usable space in the interior, allowing a business partner to design the cabin in ways it sees fit. In the case of Uber and Didi, that could entail fitting the interior with seats for commuters whereas, in Pizza Hut’s case, it could involve creating a mobile kitchen and delivery service. Partner companies are also free to install their own automated driving systems and vehicle management technologies into the concept. Once these systems are installed, Toyota steps into the picture with its Guardian technology, which acts as a “safety net” that helps ensure that the operation of the vehicle is being done properly. 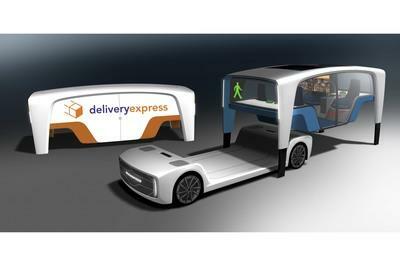 Toyota’s goal is to create a business ecosystem around the e-Palette Concept. Partners can also take advantage of shared data that Toyota is offering through its Big Data Center service. The E-Palette is a fascinating interpretation of what future mobility could look. It might even have a promising future as a real product if Toyota thinks it’s worth building them. Just don’t expect that day to arrive anytime soon because feasibility tests of the concept don’t begin until 2020 in Japan. Coincidentally, that’s also the same year that Tokyo is hosting the 2020 Summer Olympic Games. Coincidence? I don’t think so. 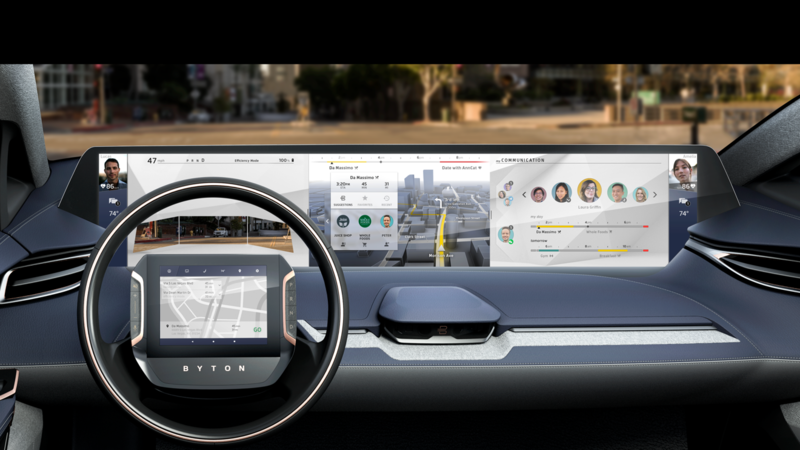 Byton, an international extension of the Chinese-based Future Mobility Corporation, just debuted its very first product, pulling the sheets in front of an eager crowd at CES 2018. Framed as a near-production-ready concept dripping with innovative technology, the SUV promises a lot – but can it deliver? The Byton Concept EV is the company’s very first all-electric vehicle, with a sleek new design, luxurious interior, and solid range. Byton hopes it will successfully “replace horsepower with digital power,” making a splash in the SUV segment for about $45,000. At 191 inches in length, 76 inches in width, and 65 inches in height, it’s significantly smaller than competitors like the Tesla Model X, but it comes with some pretty impressive tech that will definitely steal some sales – if the start-up delivers on its promises, that is. So then, what’s the tech in question? For starters, there are facial recognition cameras mounted on the b-pillars for “user authentication” purposes and the specification of customized settings (seat position, etc.). There’s also smart exterior lighting that will help greet the user and relay important information, such as the current charging status. Once inside, drivers are met with an enormous screen on the dash, measuring 49 inches in length and 10 inches in height. A touch screen was placed in the steering wheel as well. Rear-view cameras are used in lieu of physical side mirrors. It gets better. The on-board AI uses various devices to monitor the driver’s health and provide “meaningful advice,” while a video chat feature helps you connect on the go. 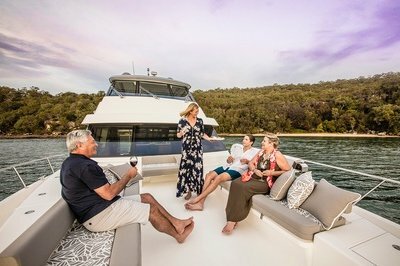 There are individual adjustments for the front and aft seats (no static rear bench here), while the front seats will also rotate around to enhance sociability inside the cabin. Amazon provides its Alexa voice control software, and there’s a simplified gesture command system as well. An intuitive navigation system helps you find the best route from A to B, and the high levels of connectivity come courtesy of several flat antennas integrated with the roof. 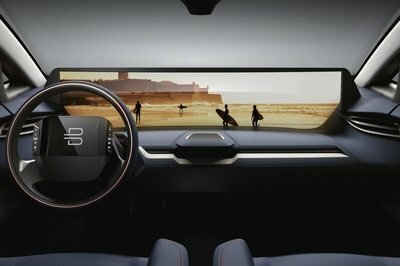 Finally, Byton says the SUV will come with level 3 autonomous capability at launch, with promises of reaching level 4 capability by 2020. All impressive stuff, no doubt about it. But the question is this – is Byton biting off more than it can chew? The company is shooting for no less than “the most advanced EV in the market as of 2019,” which is no small feat these days. Still, the basics look pretty solid, with the base model providing 250 miles per charge and 272 horsepower from a 71-kWh battery, and the higher trim doing 325 miles per charge and 476 horsepower from a 350-kWh battery. There’s also a quick-charge feature that will juice the pack with 150 miles in 20 minutes, and an 80 percent charge in 30 minutes. We’re still a little over a year and a half before we’ll know for sure it Byton can pull this off, but if all the above-mentioned features are included when the final production version drops late 2019, it could spell success for the start-up. Read our full review on the 2019 Byton EV Concept. When it comes to automotive technology and the Consumer Electronics Show, anything and all things battery related is obviously quite the hot topic. 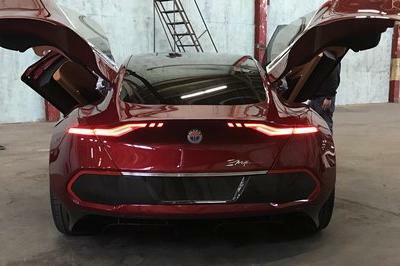 This year is no different, and Fisker is looking to make a splash thanks to its new solid-state battery and fast charging on the soon-to-be-revealed eMotion sedan, as teased in a series of Tweets from the man himself, Mr. Henrik Fisker. For those of you who may be unaware, Henrik Fisker is a Danish-born auto designer with a long, impressive resume. After getting his start at BMW, where he helped to pen the E1 electric concept, the Z07 concept (which later became the Z8), and the X5 SUV, Fisker made the move Aston Martin. There, he helped create such stunning beauties as the V8 Vantage. Later, he helped get the ball rolling on the original Tesla Model S.
In 2007, Fisker launched his own car company, creating the Fisker Karma hybrid sports car under the eponymous Fisker Automotive. While unquestionably good-looking and technologically impressive, the Karma ended up bankrupting the fledgling car company, with a variety of recalls issued concerning the battery’s tendency to spontaneously ignite. Fast forward to 2016, and Fisker is back in the saddle, offering a new luxury sports hybrid dubbed the eMotion. 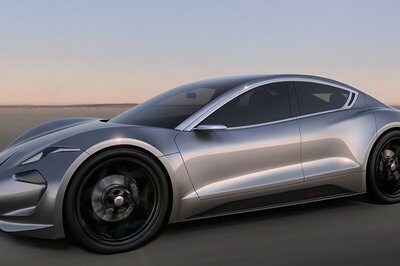 Stylistically, the eMotion is classic Fisker, combining elements of his work at Aston, Tesla, and of course, the Karma into a single package. There are short overhangs (especially in back), cab-back proportions, high fender flares, large wheels, and wild-looking upward-flared doors. While nice to look at, the eMotion secures its spot in the limelight at CES thanks to what’s going on underneath the skin, namely a solid-state battery pack and quick-charge feature. Full details are expected during the four-door’s reveal, but we’re expecting huge range potential (upwards of 400 miles when topped off, with the possibility for 500 miles), and charge times equivalent to that of a normal gasoline fill-up. If true, the new tech would address two of the biggest hurdles to widespread EV adoption. But there’s more. Rather than using a liquid lithium-ion substance like traditional EV battery packs, Fisker’s new solid-state batteries are made from graphene, an ultra-thin honeycomb lattice that currently only exists in laboratory settings. As such, the batteries would also be lighter than lithium-ion equivalents, have a higher energy density, be less prone to thermal runaway, and incredibly, be cheaper to manufacture as well. “Here’s to a “Solid” 2018, the year we decide when our solid state Battery technology goes into mass production,” Fisker tweeted out on December 31st. In addition, it looks like the technology may be made more accessible some time in the foreseeable future. In response to one of Fisker’s recent tweets, another Twitter user asked, “You will impress me when you make a 400 EV range for everyday people. We outnumber those that can afford your luxury model. 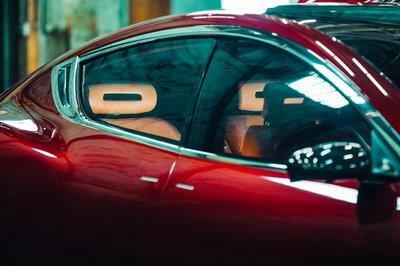 Your revolution can only be carried out by the masses,” to which Fisker responded with, “That’s next on my agenda!”, suggesting a more affordable eMotion may already be in the works. In addition to the new battery tech, Fisker will also show off the eMotion’s lidar system, which is presumably used to help it achieve high levels of autonomy. Look for the full reveal of the Fikser eMotion on January 9th. Stay tuned to TopSpeed for the latest. Read our full review on the 2018 Fisker Emotion. The annual Consumer Electronics Show, better known as the popular acronym “CES,” is now upon us, promising us car lovers a futuristic, sci-fi-flavored look at all the tech goodies the major automakers are tinkering with at the moment. With a schedule filled to capacity with geeky delights and nerdy awesomeness, we thought we’d pick out five highlights worth checking out. Continue reading to learn more about five things to look for at the 2018 CES. Quick – What Is CES? First held in 1967, the Consumer Electronics Show is an annual trade show put on by the Consumer Technology Association. Highlighting the latest and greatest tech advances in a wide array of industries, CES has gradually become a major event for car makers, offering an opportunity to unveil new infotainment features, navigation features, connected car features, autonomous features, drive systems, and even full-blown concept cars to the roughly 170,000 attendees expected to appear. 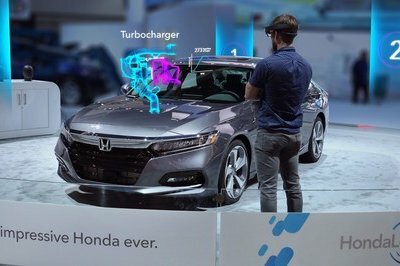 As the car world continues to overlap more completely with digital technology, CES is now even more integral to the auto industry. This year will see that trend continue. Forget voice commands, forget gesture control – what about simply thinking about what you want your car to do? That’s exactly what Nissan is previewing at CES this year with this odd Brain-To-Car technology, which is apparently able to predict the driver’s intentions and even his or her mood by monitoring their brainwave activity. The system then reacts to inputs before they happen by tweaking settings for the dampers, throttle response, and the like. Nissan says the tech can enhance the “driving pleasure and experience in autonomous driving vehicles,” but to be perfectly honest, we’re not entirely sure how the tech makes the car less reliant on human inputs. Perhaps it could put us on a path where you just have to think your way home, rather than working the wheel and pedals in the traditional driving fashion. Perhaps we should think of it like an adaptive automatic transmission, but for the entire car. Raise your hand if you used a ride-hailing service like Lyft to ferry you around on New Year’s Eve last weekend. Well, I can’t actually see you, my dear readers, but my guess is that most of you have your hand raised right now. If not, then you at least thought about raising your hand, but didn’t out of fear of looking weird. If you love odd, yet oddly intriguing concept cars, then Swiss automaker and tuner Rinspeed should be right up your alley. Past offerings have included the sQuba from 2008, a Lotus Elise modified to perform as a submarine, and the Budii from 2014, a surprisingly self-aware autonomous vehicle designed to constantly learn and become more and more efficient at its job. Rinspeed’s latest is the Snap, a modular transportation solution that’s adaptable to any and all situations thanks to its Lego-like ability to fit together in, well, a snap. Whether you want a mobile living space, a place to host friends, or even just a way to move around freight, the Snap has the right pieces to suit the job. All-electric drive and fully autonomous capability are obviously two of the primary features here. the Chinese firm Future Mobility Corporation. Based in Santa Clara, California, and staffed by former executives from BMW, Tesla, and Nissan, this is one up-and-comer that might have some traction. The concept is heavily focused on offering high-end digital technology, with ride sharing and connectivity at the top of the priority list. The company is even calling the car concept a smart device. Inside, there are several screens provided for each of the passengers, plus there’s an enormous screen taken a prominent spot across the dash. Voice control and gesture control are included, plus there’s a good deal of support for all the popular apps and mobile devices you’d expect. Byton says a production version will soon finds its way to the company’s factory in China, with the first batch selling to the Chinese market around 2019. European and the U.S. consumers will get it in 2020. Maybe. Read our full review on the Byton Concept Vehicle. Anyone familiar with lovable Asimo will know Honda is pretty invested in the world of robotics. Now, the H-badge is headed to CES with a whole new range of experimental technologies. 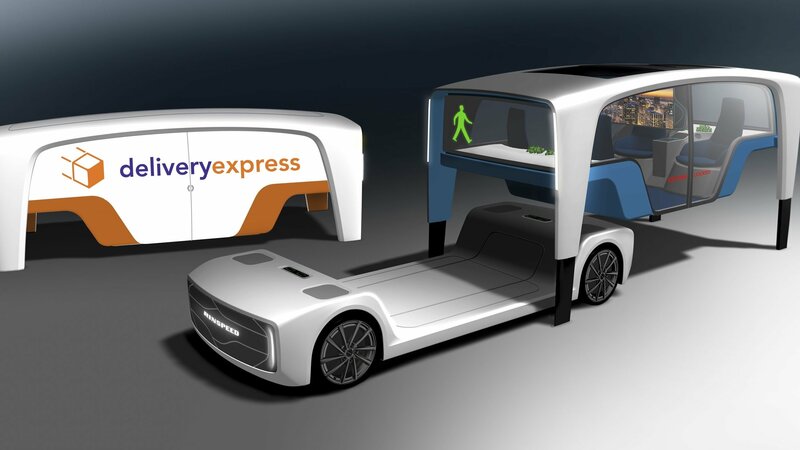 Dubbed “Empower, Experience, Empathy” (hence the “3E” name), they include a variety of new ways to get around, such as the 3E-B18, “a chair-type mobility concept designed for casual use in indoor or outdoor spaces,” and the 3E-D18, “an autonomous off-road concept vehicle with AI designed to support people in a broad range of work activities.” There’s even a companion robot designed to show compassion with a variety of facial expressions. 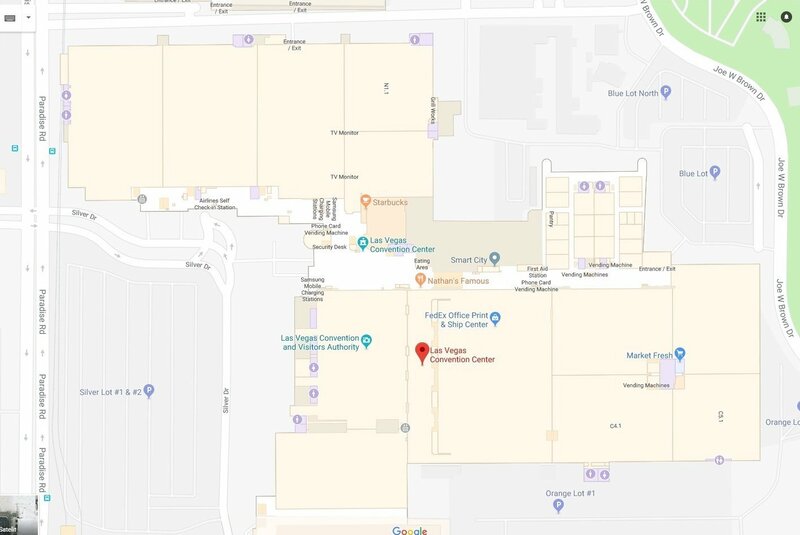 As in years past, CES 2018 will once again be held at the Las Vegas Convention Center, located at 3150 Paradise Road. 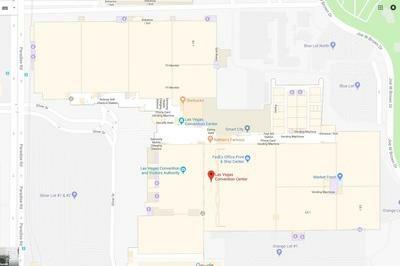 You can find a map of the venue and tips for transportation to the event here. Things get rolling Sunday, January 7th, with the doors closing later in the afternoon on Friday, January 12th. Last year, nearly 185,000 people attended, with 4,000 companies exhibiting and 1,200 speakers. Unfortunately, CES is not open to the general public. A Chinese electric car start-up called Future Mobility (FMC) is dipping its toes in the electric car market by launching car company Byton. The new automaker isn’t taking long to make its presence felt in the segment as it already has an electric mid-sized SUV that it plans to showcase at the Consumer Electronics Show in Las Vegas next week. It all sounds familiar, doesn’t it? We know very little about the exterior of the new Byton electric SUV other than these few teaser photos. 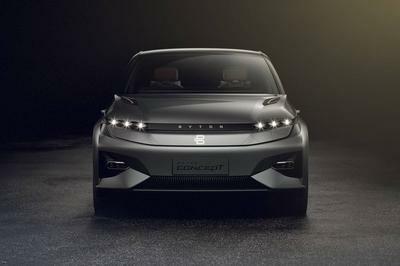 The photos don’t reveal much, but we do see a few noteworthy elements, including what appears to be thin headlights that are made up of three large LEDs lined up horizontally. Just below them is another lighting fixture that looks to be more cosmetic than anything else. In my head, they resemble beams that extend in different directions, creating the kind of effect you normally see in a concert. A different teaser photo shows the lights emitting a green hue, but the similar treatment in the rear section of the SUV shows the lights emitting a red color. It’s unclear if this is part of Byton’s electric SUV package, but it does attract some attention. The new year is here, the same to the next generation smart device. See you all! 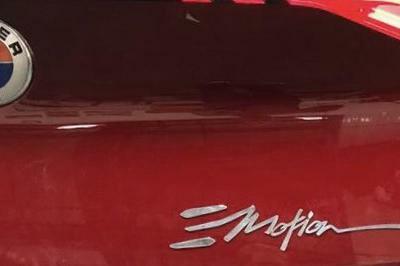 The teaser photos don’t reveal any details on the side section of the SUV. For that, I checked out the teaser video to see what the silhouette looks like. The video shows a brief glimpse of the top section of the vehicle and the proportions suggest that there’s some legitimacy to Byton’s claim that the vehicle is roughly the same size as the Audi Q5. As little as we know about the Byton SUV’s exterior, we already have a clear look at what the interior looks like. The cabin looks the part of what you’d expect from a concept vehicle. The most prominent element is that massive infotainment screen that stretches to an absurd length of 1,250 mm, or about 49 inches, and rises up to a height of 250 mm, or almost 10 inches! That’s a little over four feet of infotainment screen occupying the entire length of the floating dashboard. The automaker says that this approach makes it easy for both the driver and front passenger to use the screen comfortably. Hard to argue against that sentiment. 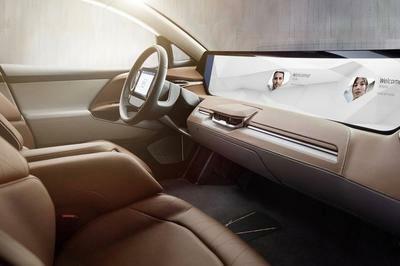 Byton’s exuberance in using digital displays can also be found on the steering wheel where a smaller display is located right in the middle of it. We’ve seen this done in the tuning world with iPads in the middle of the wheel, but Bytone is taking it to another level. Apparently, the company thinks that the more displays in the car, the better it is for all of its occupants. Another teaser photo shows a large amount of interior surface dressed up in brown leather. I had my reservations when I first saw it, but I started warming up to it once I got a long look at the dashboard when it’s dressed in the good stuff. It actually looks nice. You’ll notice too that both front seats come with large armrests. I’m a fan of armrests for a number of reasons so I’m digging this small design detail. It gives the two front seats the feel of comfortable lounge chairs. 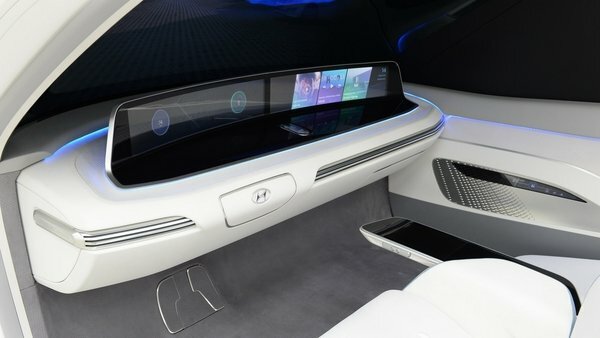 At the very least, they should pass off as lounge chairs because the driver will probably have to ride in a high seating position to see over that absurdly large infotainment screen. From what we know at this point, the Byton electric SUV will be powered by electric motors. According to FMC president, Daniel Kirchert, the SUV will have a range of 217 miles (350 km) in standard form. There are also plans to develop a more premium variant that comes with a range of 311 miles (500 km). The SUV will also feature accelerated charging capability, including the ability to charge 76 miles (120 km) of battery range in just 10 minutes of charging. 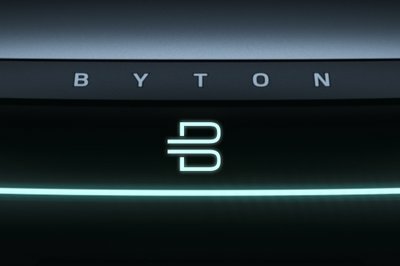 On the side of autonomy, Byton plans to install hardware inside its electric SUV that would someday allow it to achieve Level 5 autonomy. That isn’t expected to happen when the car is launched, so expect a version similar to Tesla’s over-the-air updates to be a big part of Byton’s ability to boost the SUV’s tech abilities while it’s on-the-go. More details about the drivetrain, including the SUV’s power output, should be revealed at the Consumer Electronics Show next week. I’ve come this far resisting the urge to bring up Faraday Future and its FF91 SUV, but I can’t keep it in anymore. 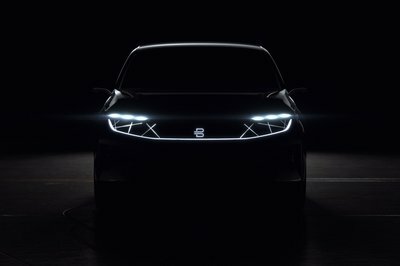 The similarities are uncanny between the two companies, right down to choosing CES as the event to debut a ground-breaking, all-electric, self-driving-capable SUV. Remember, Faraday debuted the FF91 at CES two years ago and it promised a lot of the same things that we’re hearing from Byton. That’s not to say that the new start-up is going to suffer through the problems that Faraday has had since, but I can’t help but think that Byton may be trying to bite the same tree here. That said, I will give the company some leeway to show what it’s capable of doing moving forward. That’s the only fair thing to do at this point. The concept looks promising and the ambition is there to really make a mark in a segment that’s continuing to grow by the year. But those days of blindly championing start-up electric car markers are long gone. Now, I’m adopting a wait-and-see approach. I hope there’s something to Byton’s electric SUV because I want the company to succeed. But if it doesn’t, don’t count on me being surprised. 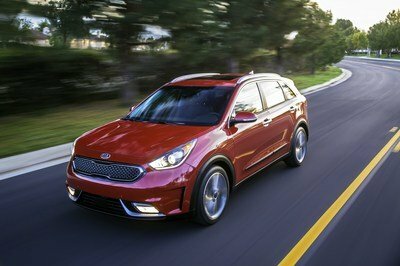 Launched for the 2017 model year, the Kia Niro is a subcompact crossover positioned below the popular Sportage. Previewed by a concept vehicle introduced in 2013, the Niro is built on the same platform as the Hyundai Ioniq, and it’s available with a 1.6-liter gasoline engine and electric motor combo, in both hybrid and plug-in hybrid variants. 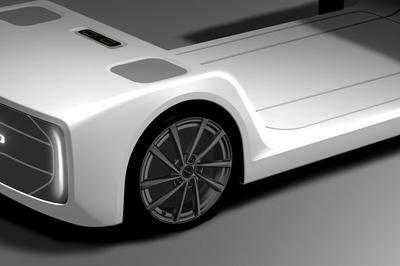 A gasoline-only version isn’t on a drawing table yet, but a fully electric model is definitely underway. 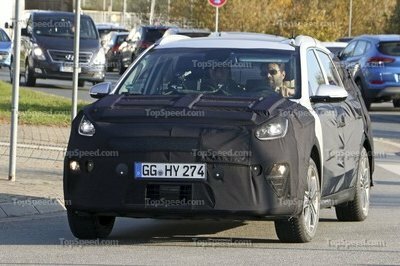 Already spotted testing on public roads in 2017, the Niro EV is coming to the 2018 Consumer Electronics Show (CES) in concept form. Heavily based on the production model, the electric concept is more than just a Niro with an electric motor and a battery. Kia also meddled with the exterior design and created a new lighting system for the show car. Inside the cabin, we will see a “never-seen-before human-machine interface (HMI),” which could preview an upcoming infotainment system. 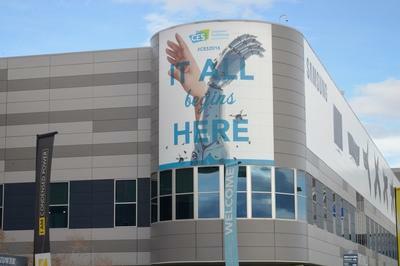 Most details are still under wraps, so make sure you stay tuned for an update from the Consumer Electronics Show. Continue reading to learn more about the Kia Niro EV concept. Although the photos of the concept car are quite dark, we can spot a few essential details. For starters, it’s pretty obvious that the show car is a modified Niro. All the familiar features are there, including the headlamps and taillights, the “Tigernose” grille, and traditional crossover shape. 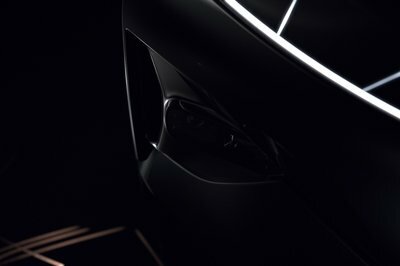 But unlike the production model, the concept comes with an “advanced new ‘motion graphic’ lighting system.” Kia had nothing to say about it yet, but was careful enough to highlight it in the photos. 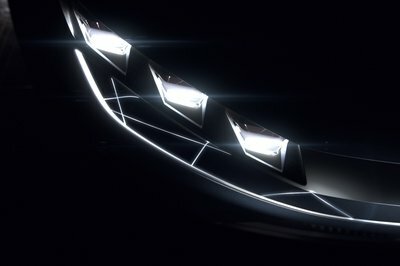 A quick glance at the headlamps reveals a new LED pattern with thin stripes around the lens and new detailing around the main bulb. The daytime running lights in the bumper are also new, now formed of a thin hockey stick-like element and a diagonal bar toward the bottom. The traditional grille was also replaced with what appears to be a display with LED dots. It’s unclear whether the graphics are customizable here but it could change depending on the drive mode selected. Things become a lot more interesting around back, where Kia replaced the Niro’s usual taillights with slimmer units. On top of being thinner, which gives the crossover a more aggressive stance, they also feature a new LED pattern with thin stripes around the lens and vertical bars, similar to those seen up front. The red lights in the bumper also mimic the shape of the daytime running lights. The license place recess is much wider now and looks like a sporty diffuser. Inside, there’s “Niro EV” lettering in white LED lights. The SUV’s profile appears to be the same, but I can see a new side skirt design, new wheels, and a slightly lowered ride height. 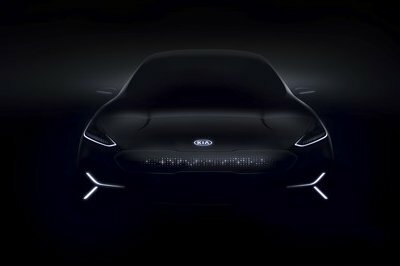 Kia says that the “motion graphic” lighting system previews the potential for such a technologies “for market introduction in coming years.” I’ll be honest here, I can’t wait to find out what this thing is all about. 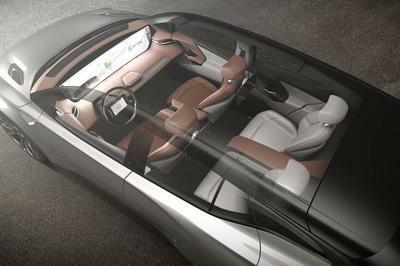 Kia had absolutely nothing to say about the concept car’s interior, but it’s safe to assume that it won’t stray too far from the production model’s layout. Sure, Kia may add a few new features, like a custom instrument cluster with information about the electric drivetrain and additional apps for the infotainment system, but the general cabin design should remain unchanged. It could showcase new visuals like a flashy two-tone upholstery, new contrast stitching, and new materials but don’t expect anything wild. New technology is also on the table, but don’t get your hopes up for something revolutionary. With the Niro EV already under development and testing on public roads, the concept is probably an almost production-ready vehicle. 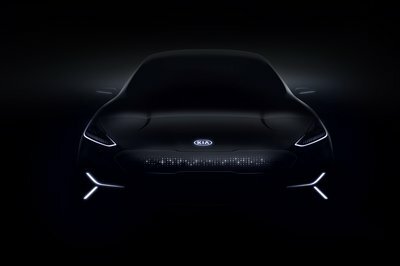 Kia did say that the concept also features a never-seen-before human-machine interface but it remains to be seen if the Korean brand will introduce something entirely new. I’ve read way too much fancy PR talk lately so I’m tempted to believe it’s something we’ve already seen in other concept car but packaged in a different way. 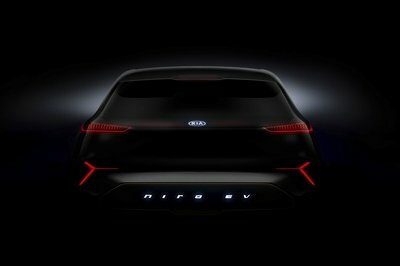 Kia has yet to release drivetrain information on the Niro EV concept, but it did say that it features a “highly efficient battery-electric powertrain.” However, we already know that the Niro is based on the Hyundai Ioniq, which already has an electric version, so it’s safe to assume that the Niro EV could use the same drivetrain. Introduced in 2017, the Ioniq Electric has a single electric motor that generates 118 horsepower and 217 pound-feet of torque. Power is sent to the front wheels via a single-speed reducer transmission that’s capable of pushing the car to a top speed of 102 mph. The juice is stored in a 28-kWh lithium-ion polymer battery that promises an estimated range of 155 miles. Charging the battery to 80 percent only takes 24 minutes using a 100-kW fast charger, and an integrated in-cable control box (ICCB) allows the vehicle to charge using a standard 120-volt wall socket. These specs should be similar for the production version of the Niro EV. Of course, the concept car could have additional output and features, but we won’t know for sure until the vehicle breaks cover at the Consumer Electronics Show. The Niro EV may be just a concept car for now, but it’s pretty clear that it will become a production model soon. The vehicle was already spotted tested on public roads and it will most likely arrive by the end of 2018. 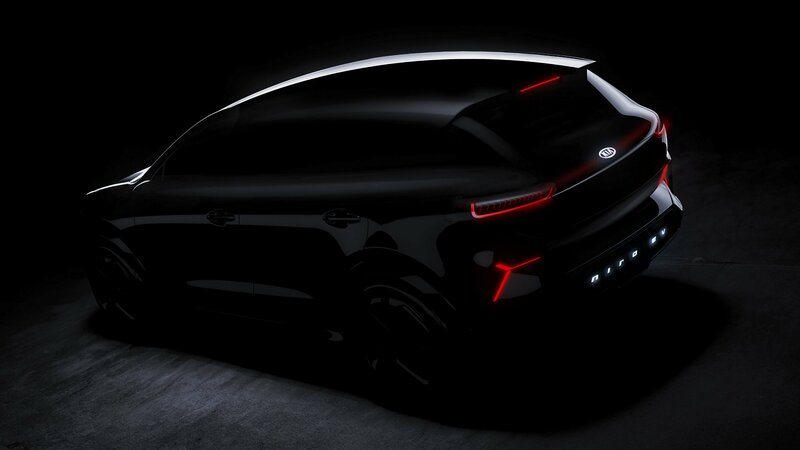 With the Niro already available in hybrid and plug-in hybrid variants, the full electric version will round out the nameplate and give Kia a solid competitor for all markets. Read our full speculative review on the 2019 Kia Niro EV. Read our full review on the 2017 Kia Niro. Kia will head to the Consumer Electronics Show in full force with a new all-electric concept car. The new concept is called the Niro EV, and it’s actually a model that we’ve seen recently in the wild getting some test runs under its belt. 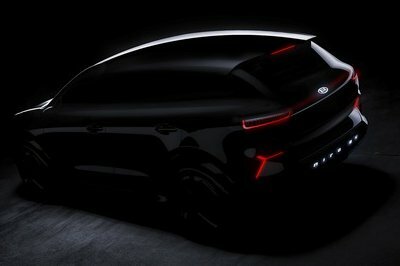 The Niro EV is unlikely to hit production anytime soon, but it does feature a slate of new technologies that Kia hopes will be introduced on production models in the coming years. Parse through Kia’s plans for the Niro EV, and it’s clear that the concept has a bigger purpose than just being a show car. 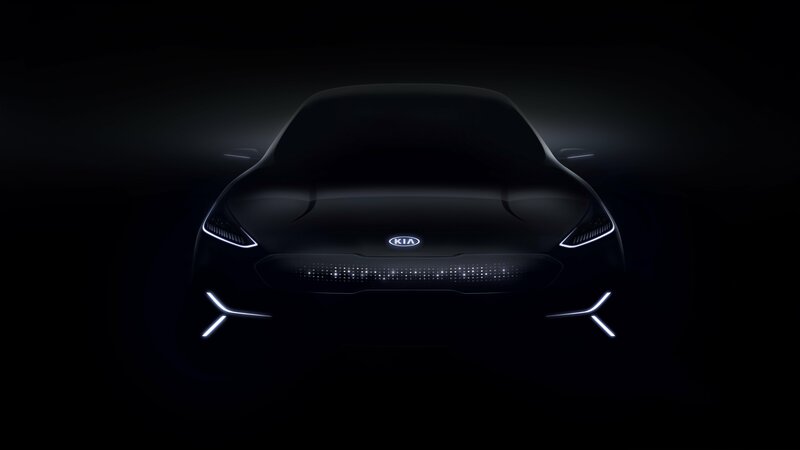 It has, in Kia’s words, a “never-before-seen” human-machine interface and a “motion graphic” lighting system, two technologies that could find their way in future production models, provided that there’s some interest behind them. Beyond the allure of these new tech features, the Niro EV is an electric car at heart. It’s also the third model variant to carry the “Niro” nameplate, following the mild-hybrid and plug-in hybrid variants that are already out on the market. Details about the EV version will be released at CES, though it’s likely that the concept will carry a similar electric powertrain package that’s similar to the one found inside the Hyundai Ioniq EV. Should that be the case, we can expect the Niro EV to come with a single electric motor that produces 118 horsepower and 217 pound-feet of torque. A single-speed reducer transmission is in charge of sending power to the two front wheels while a 28-kWh lithium-ion polymer battery is responsible for delivering an estimated range of 155 miles. Since we’re talking about just a single electric motor, charging it up to 80-percent capacity will only take around 24 minutes using a 100-kW fast charger. The arrival of the Kia Niro EV isn’t surprising since the Korean automaker has been pushing to build its lineup to include more hybrids and EV models. It already has the Soul EV in the market, and given the popularity of the Niro’s two hybrid variants, it makes sense for Kia to add an all-electric version into the mix. The Consumer Electronics Show is hitting Las Vegas next week. If you happen to be in the vicinity, you may find yourself with the opportunity to experience riding in an autonomous taxi. 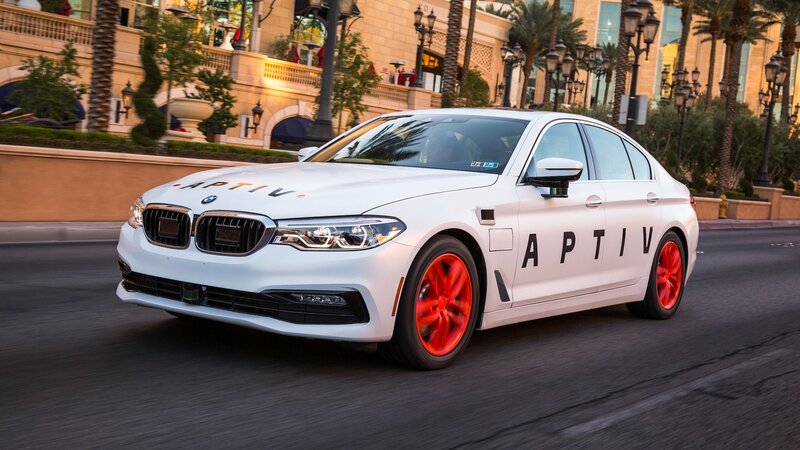 That’s because Lyft is launching a partnership with Delphi’s tech arm, Aptiv, to offer cab rides using BMW 5 Series sedans that are outfitted with autonomous driving technology. With the calendar flipping to 2018, the race to develop autonomous driving technology is about to heat up even more. It’s not unusual for companies like Lyft and Delphi that are in this race to use CES as a showcase event for their respective products. That’s why this initiative is happening. That said, commuters aren’t exactly stepping into a 5 Series by themselves. According to a press release announcing the partnership, a safety driver will be in the front seat to take control of the wheel if it’s necessary. 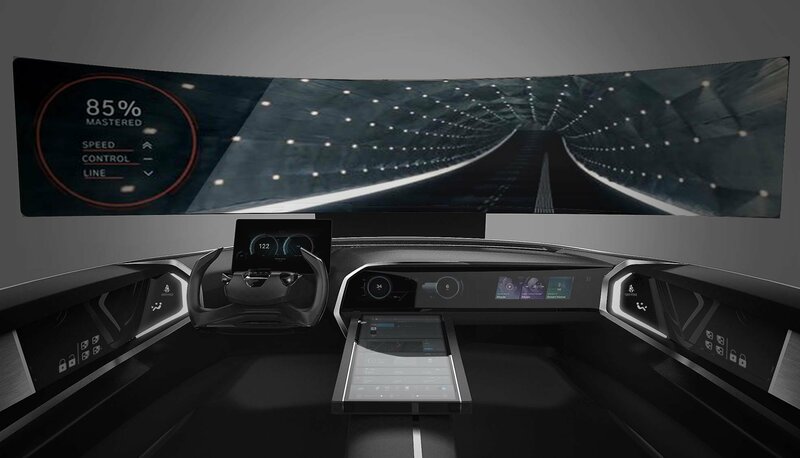 In addition, an in-car host will sit shotgun next to the driver to properly explain to commuters how the technology works and how far along it is from becoming a real thing. 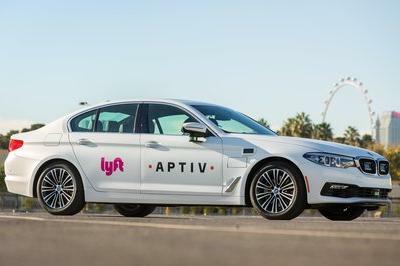 Lyft and Aptiv are calling the venture “a first-of-its-kind fully automated point-to-point ride-hailing experience.” It’s hard to argue against that claim because, at this point, public commutes using autonomous driving vehicles is still in its infancy. We’ve already seen a lot of automakers and tech companies make big promises on developing autonomous driving vehicles, but there remains a lot of skepticism surrounding the technology. In fact, a Deloitte study from 2017 revealed that only 25 percent of Americans believe in a future where self-driving cars are safe. If these companies want to turn that percentage around, they’re going to need to do initiatives like this to convince commuters of the safety and potential of autonomous driving technology. 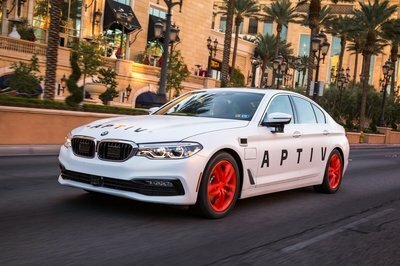 Lyft and Aptiv will do their part at CES with these demonstration rides. If you happen to be in the locale, these rides will be offered in more than 20 specific destinations throughout Sin City. Hop on one of them and let us know how it goes. 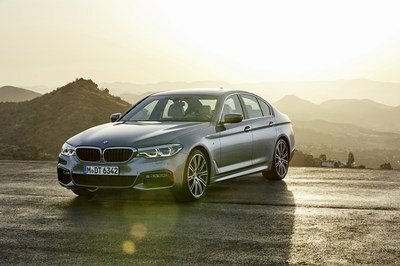 Read our full review on the 2017 BMW 5 Series. Will wonders ever cease? It certainly doesn’t seem like it. Remember that electric Corvette from Genovation Cars that hit 200 mph in 2016 before being show off at Pebble Beach? Well, it will make another public appearance at the 2018 CES show in January, but this time with 800 horsepower and more than 700 pound-feet of torque on tap – figures that promise to push it to the 220-mph mark and all without the use of any dino juice… Oh, what a time to be alive. Based on the C7 Corvette that’s about to be retired to make way for a new generation, the GXE was originally rated at just 492 kilowatts or around 660 horsepower and 600 pound-feet of twist. Those aren’t bad figures for an electric beast, that’s for sure. We’re not sure how Genovation did it, but it’s managed to provide the world with updated specs that now include an extra 140 ponies and at least 100 more pound-feet of torque. 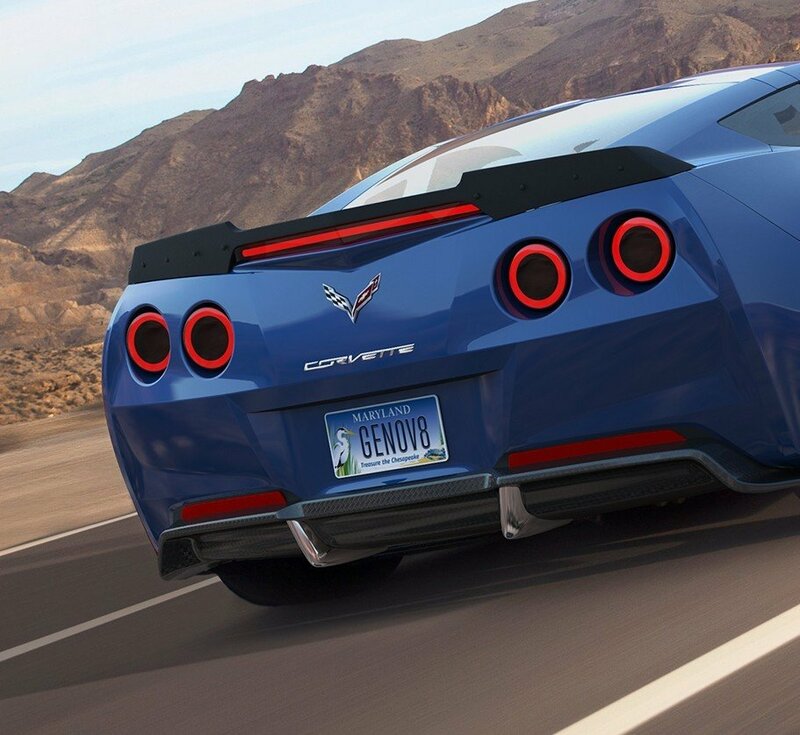 Those figures are pretty staggering, but even more so, when you consider the Corvette ZR1 delivers just 755 ponies and 715 pound-feet. Of course, this news also comes with more goodies too, including an updated specs sheet that promises a 60-mph sprint in less than three seconds and a top speed that peaks more than 220 mph. There is a downfall, however, as that GXE Electric Vette won’t get you very far and you better not expect a fun day at the track. Despite the fact that battery technology is on the up and up, this baby only gets 130 miles or so from its 60-kWh battery pack, and there’s no word on charging time, either. So, when you shell out the $750,000 for one of those 75 models being created don’t expect to do a whole lot with it outside of some occasional playing or trotting back and forth around town. 209 MPH Genovation GXE All Electric Super Car New Top Speed World Record! 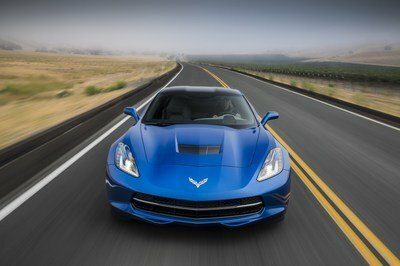 Read our full review on the 2017 Chevrolet Corvette. 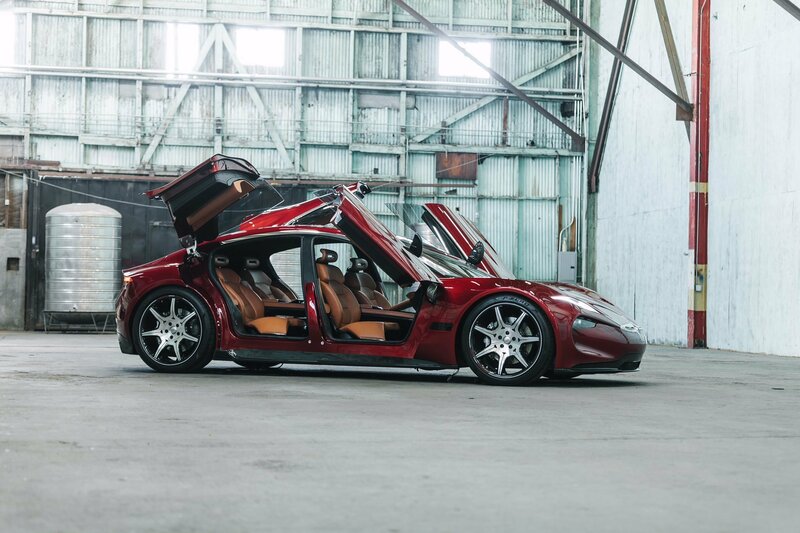 Fisker hasn’t exactly had the most amazing past, hitting several setbacks along his way, but he’s finally looking be at the top of his game, and maybe he really is redefining the future of luxury. What do you think? Here, you can see part of a door trim panel, more specifically, the armrest being wrapped in the oh-so-fine leather as Team Fisker works to get the Emotion interior done before it debuts on Jan 9th at CES. What are your thoughts on this color choice? Hyundai is gearing up to offer customers a new in-car voice control system that will integrate with numerous vehicle functions and even connected devices at home. Hyundai will preview the tech next month at the Consumer Electronics Show in Las Vegas, and bring it to production models starting in 2019. As we march into the future of personal automotive transportation, technology like voice recognition software is becoming increasingly important. As more and more features are added to cars, voice control becomes a necessary tool to keep drivers focused on the task of driving. Users activate the system by saying “Hi, Hyundai,” then speaking their desired command. The system will cover all the basic voice activated stuff, such as making phone calls, sending texts, searching for navigation destinations, searching for music, checking in on weather conditions, managing schedules, activating the climate control, opening and closing the sunroof, and locking/unlocking the doors. However, Hyundai’s Intelligent Personal Agent will also be proactive, with features like providing a reminder regarding an upcoming meeting, or suggesting a new departure time based on current traffic conditions. The system will also offer “Car-to-Home” services to control various connected devices and systems in your apartment or house. Powering the system is SoundHound’s “Houndify” artificial intelligence platform, which is used to identify the various commands of the user. This also enables multiple command recognition – for example, Hyundai says you could say something like, “Tell me what the weather will be like tomorrow and turn off the lights in our living room,” and the system will perform both commands independently. The Hyundai Intelligent Personal Agent will initially only support English commands, but the automaker says it plans to expand support to include other languages sometime in the future. A simplified version of the tech will see use in the brand’s Fuel Cell Electric Vehicles, which will be offered for test drives in the near future. 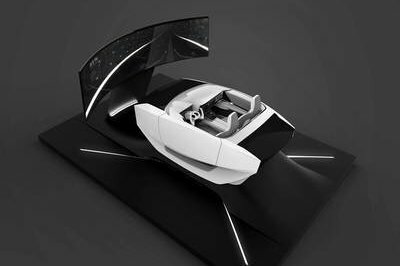 Anyone interested in getting some hands-on experience can also head over to Las Vegas for the tech’s debut at CES in January 2018, where it’ll show in prototype form via a demo connected car cockpit. 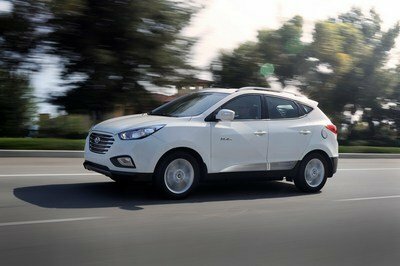 Read our full review on the 2015 Hyundai Tucson Fuel Cell. 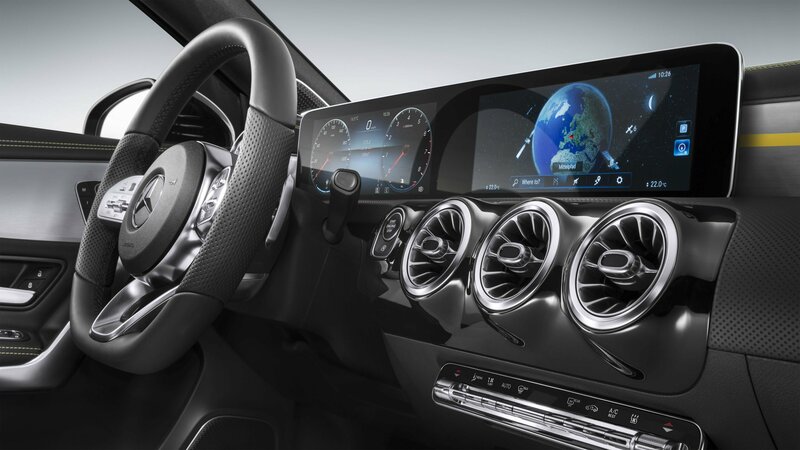 Mercedes-Benz will be in attendance at the 2018 Consumer Electronics Show, and a big part of its presentation will revolve around its new infotainment system. It’s called “Mercedes-Benz User Experience,” or MBUX for short. More importantly, the new system will feature state-of-the-art technology that’s based on artificial intelligence and an intuitive operating system that will create a “pioneering in-car experience.” Yes, Mercedes is bringing the future to CES. We can’t wait. From a purely functional standpoint, Mercedes’ new MBUX infotainment system is next level business. The German automaker didn’t elaborate on all the technological wizardry that this system will have at its disposal, but throwing out phrases like “artificial intelligence” and “intuitive operating system” is a good sign that there’s more to this new unit than we first expected. As far as aesthetics go, we already know what it’s going to look like based on images that were shared of the next-generation A-Class’ interior. We can expect a pair of 7-inch displays on standard units while higher-trim models stand to get a pair of 10.25-inch displays or one 7-inch and another 10.25-inch screen. It’s a markedly different setup from the traditional panels we’ve seen in the past. The new MUBX will also be used on a number of other models apart from the A-Class. 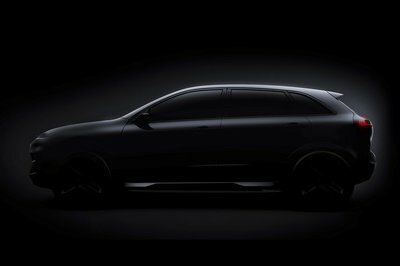 The B-Class MPV will also get it, as will the CLA four-door coupe, CLA Shooting Brake, GLA, and possibly another crossover that has yet to be named. Expectations are high for the MUBX system and all of its promised features. Here’s to hoping that it lives up to all the hype. 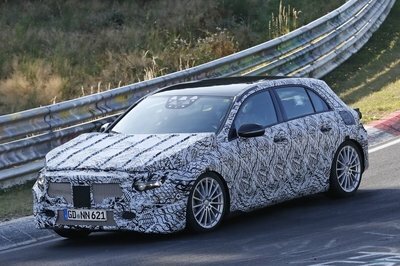 Read our full speculative review on the next generation 2018 Mercedes-Benz A-Class. From the maker of some of the most bizarre vehicular creations in recent automotive history, Rinspeed is back at it with another, well, futuristic offering. It’s called the Snap Mobility Concept, and its name doesn’t do enough justice to what exactly it’s capable of doing. No, there’s no garden growing inside of it like the Oasis Concept from 2016, but it does have a chassis that can connect to different cabins, or “pods,” as Rinspeed likes to call them. The whole concept isn’t at all different from how trucks can carry different trailers, but the Snap Mobility Concept takes that approach on an entirely different level because an entire cabin can be removed and replaced with another, resulting in a concept that’s not at all too different from the Surus platform concept that General Motors unveiled earlier this week. Rinspeed’s whole objective with the concept is to reduce congestion and pollution in crowded cities, so it’s no surprise that the Snap Mobility Concept is completely autonomous and runs on a fully electric powertrain. The actual details and figures are still being withheld though rest assured, there’s a lot more to this concept than meets the eye. Keep an eye out for it when it makes its debut at the Consumer Electronics Show (CES) in January 2018. 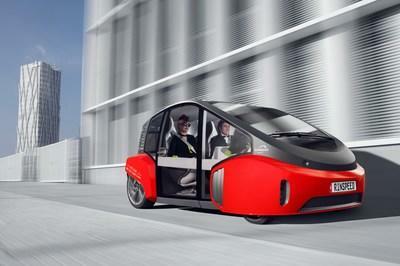 The Rinspeed Snap Mobility Concept does not have a traditional exterior. In fact, a case can be made that the exterior of the concept is limited to its platform, which looks like an oversized skateboard. According to the Swiss company, these platforms, or “backbones,” come equipped with “long-lasting IT components that are not bound to be outdated quickly” and are free from any mechanical wear. The box-like front and rear sections have their traditional automotive features like headlights and taillights, but everything else looks different, including the biggest design wild card of all them: the pods themselves. I honestly don’t know how to describe it because, on its own, it looks like an elevated office that can be connected to the platform through some means that Rinspeed has yet to describe. If an owner decides to switch pods, he can remove the existing one that he has on the concept and replace it with another pod that serves a different purpose. These pods are the main attraction of the whole concept because according to Rinspeed, they can keep swapping them out without having to worry about turning them obsolete. Even the the platform is designed to function long-term, but in the event, they do get outdated, owners can just swap them out for a new platform, and their vehicle is good as new again. Note: Rinspeed Oasis Concept pictured here. I suppose the interior of the Snap Mobility Concept is fluid, as it all depends on the kind of pod that’s being used at a given point in time. What I can surmise at this point is that each of these pods come with plenty of space – enough to at least create different environments. If an owner wants to design his pod like a living room, he can do that. If he wants to design it like an office, he can do that too. A kitchen perhaps? A movie theater? There are no limits to what kind of pod can come out from Rinspeed’s concept. 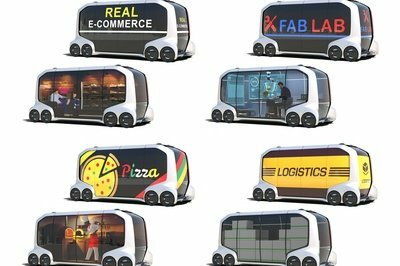 There are even pods that can be created for commercial purposes, whether it’s something like a delivery truck, cargo transport, or maybe even a mobile restaurant. Everything’s up to the imagination of the owner, supposing that the whole concept does progress far enough to actually become something tangible. Rinspeed even says that owners can set up their pods like offices and set them up in a specific location in the center of the city. It’s literally like your office has the ability to be stationary and on the move at any given point in a day. This section is clouded in mystery because Rinspeed hasn’t said anything about the concept’s powertrain other than saying its autonomous and fully electric. That said, we can at least surmise that some kind of electric motor will be powering the platform and the pods. I do think that it should at least be a powerful enough battery to accommodate some of the purposes an owner may have for his pod. It would be a bummer if somebody decides to turn a pod into a personal office and have to charge the batteries every few hours so that he doesn’t run out of power. And, here I thought that the Rinspeed Oasis Concept was outlandish enough with its own interior garden. Obviously, I completely underestimated what Rinspeed is capable of doing because the Snap Mobility Concept is unlike anything I’ve seen in quite some time. I get the whole point of it, but there are other aspects of it – the feasibility of the whole switching platforms routine – that make me wonder if the people over at Rinspeed just had far too much time on their hands that they decided to create something as curious as this concept. It’s definitely interesting, that much I’m willing to concede. But, as far as viability is concerned, I need to learn more about the purpose and objective of this concept to have a better understanding of what exactly we’re dealing with here. In that regard, the Consumer Electronics Show can’t come soon enough. 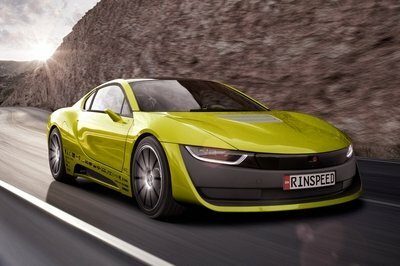 Read our full review on the Rinspeed Oasis concept. German automaker Audi has revealed a new Piloted Driving concept at the 2017 Consumer Electronics Show. 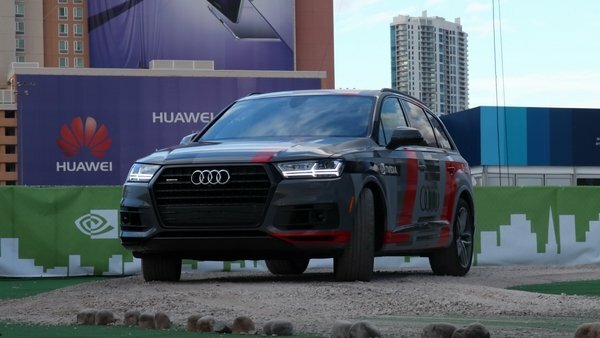 Developed in cooperation with Nvidia, which provided artificial intelligence for the self-driving car, the new Piloted Driving model is based on the Q7 SUV and brings Audi’s autonomous system closer to production stage. The autonomous SUV is the fifth concept in a long line of Piloted Driving experimental vehicles that goes back to 2014. It all started with RS7, which was also used to lap the Nurburgring, and in early 2015 the German company unveiled a similar vehicle based on the Prologue concept. Later that year, Audi rolled out a version based on the now-discontinued R8 E-Tron electric supercar, while 2016 brought an improved version built around the A7 sedan. In 2010, a very early version of the system was used in a TTS that piloted itself up the Pikes Peak course. The Q7 Piloted Driving is a more advanced version of Audi’s upcoming autonomous system, using new “deep learning” technology for handling real-road complexities. The vehicle uses what Audi describes as “neural networks” and “end-to-end deep learning” on Nvidia’s latest artificial intelligence platform to navigate complex road courses. The Piloted Driving concept can learn from both the road and the driver and can now handle all sorts of upredictable scenarios, including roadblocks, construction sites, and changes in weather. Displayed in the Gold Lot, adjacent to the North Hall of the Las Vegas Convention Center, the vehicle was showcased performing several laps around a closed course, with the configuration of the track modified in the middle of the demonstration. Audi says it will expand testing of the Piloted Driving technology on public roads in California and select states in the U.S. before launching the world’s first vehicle to meet standards of Level 3 automation (as defined by SAE International) to the market. This won’t happen until 2020, but meanwhile Audi will introduce Traffic Jam Pilot, which uses a central driver assistance controller, with NVIDIA hardware and software, in the next-generation A8. This system will give drivers the option to turn over steering, throttle, and braking functionality to the vehicle at speeds of up to 35 mph when certain conditions are met. Like it or not, we live in a digital age and technology is getting insanely better by the day. At one time it was all tech companies leading the way to our digital future, but in recent years, automakers have started getting on the wagon and introducing their own new and wild technology. Most of the time this is associated with the cars they build, but at the 2017 Consumer Electronics Show, BMW has reminded us that it’s not always about the car. No, it’s about staying connected whether you’re in your home or in your car. 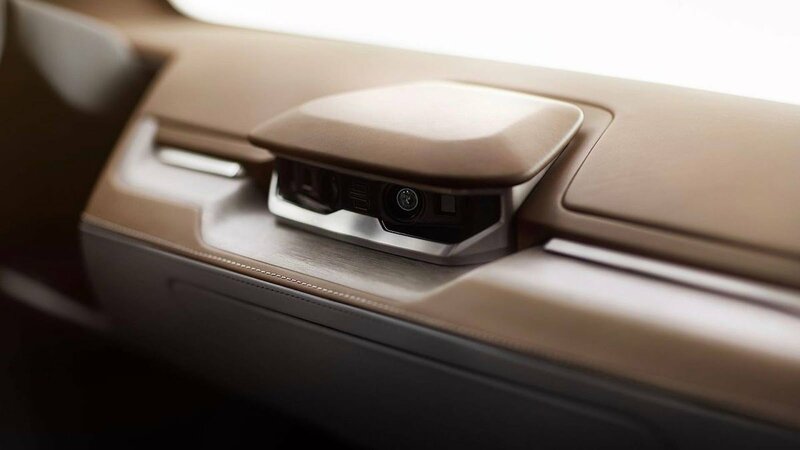 And, never more was that evident than when BMW powered up and displayed its newest piece of tech: the BMW Connected Window. BMW Connected is a suite of systems that help you organize your “mobility agenda,” plan your next trip, and update information between your personal devices and your BMW so that everything you need is always right at your fingertips. 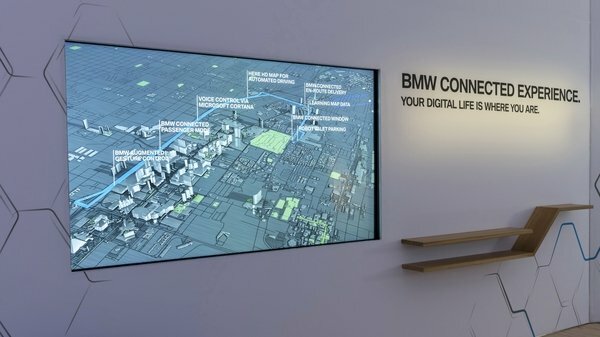 The BMW Connected Window takes that one step further with a digital wall panel that is something right out of science fiction movies. It displays a digital view of your city, provides the day’s agenda on a timeline, and shows you the best route to take from stop to stop in your daily routine, all while taking real-time traffic information and weather conditions into account. The only thing it is missing is a digital doctor that can diagnose illness before you walk out of the house, but give them a little time for that one. The system takes all of this information and sends it to all of your personal devices, be it a smartwatch, smartphone, or even your BMW prior to your morning departure. In the future, the system will be able to take daily routines into account and help plan spaces of free time where you can fit in special appointments or other tasks outside of your usual daily routine. The system’s main input is gesture control, which gives you the ability to zoom in on the map, expand meetings to review more information about them or look at real-time traffic information in-depth before taking off for the day. There’s no word as to what the Connected Window will cost, but something tells me that you’ll eventually be able to bundle it up right along with the purchase of a new BMW. By now, it’s not hard to imagine what automakers are capable of showcasing when it comes to technological advancements in the industry. It’s hardly a surprise then to see a company like Hyundai troop to the Consumer Electronics Show to introduce a new concept cockpit that can not only monitor the health of its occupants, but also manage stress levels that are often produced by driving. 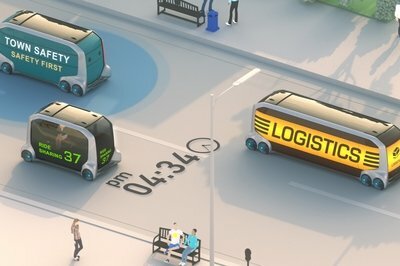 The concept itself is called the Health + Mobility Cockpit and like most prototypes of its status, it’s been designed to include features that are not readily available in today’s market, but could end up getting there provided that advancements in technology pave the way for that opportunity. 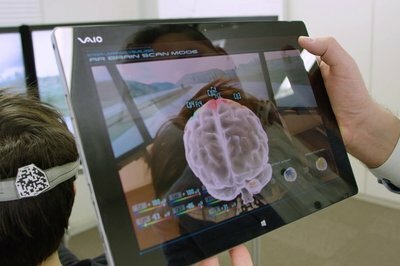 Among the pertinent features of the Health + Mobility Cockpit is what Hyundai calls “Mood Bursts,” which uses sensors to detect a driver’s specific mood at any given point in time while he’s driving. In the event that the system detects the driver losing concentration, an “Alert Burst” is triggered in the cabin. Conversely, a “Calm Burst” is activated when the system detects that the driver’s stress levels are increasing. Seems ideal for traffic situations. It’s largely unclear how these “bursts” manifest themselves inside the cabin, but at least one example for the “Alert Burst” comes in the form of the system automatically adjusting the driver’s seat in a more upright position in the event that the driver is losing focus on his driving. Not surprisingly, lighting manipulation is another prominent feature of the Health + Mobility Cockpit since there have been numerous scientific studies done on the effects of light and color to a person’s mood and awareness. According to Hyundai, the cockpit is capable of adjusting its lights system depending on the mood of the driver with specific levels attributed to warm and cool lighting. Likewise, the system is also capable of manipulating the smell inside the cockpit, thanks in part to what the company refers to as an “advanced scent system” that disperses different aromas like eucalyptus and peppermint depending, once again, on the mood and energy levels of the driver. Physically, the steering wheel-less Health + Mobility Cockpit looks like your garden variety concept interior, which is to say that it’s a fresh interpretation of a cabin that has yet to be done in the current landscape of the industry. Instead of the traditional seating configuration, this cabin features one executive chair in the front that can swivel at least 180 degrees and a J-shaped lounge couch on the back that extends to the front passenger area where a chair is noticeably absent. Up front is a horizontal block dashboard that extends from end of the interior to the other and atop the dash sits an equally long and massive digital display unit that contains every pertinent configuration and information needed by the car. The Consumer Electronics Show is technically not an auto show, but with the marriage between technology and the auto industry evolving faster than ever, it might as well be. A handful of car brands, established or otherwise, flocked to Las Vegas to show off their latest technological wares with one in particular, bringing an actual AI-infused concept car to the event. That company is Toyota and it brought the Concept-i, an admittedly intriguing concept vehicle that leverages the burgeoning influence of artificial intelligence on the industry. In other words, it’s a vehicle that literally interacts with other vehicles and its passengers on its own. Who knew, right? Make no mistake though; the Concept-i isn’t going to head into production anytime soon, maybe even ever. But that’s not important in the grand scheme of things, nor is it indicative of something that Toyota can actually build in the coming years. The Concept-i is, above all else, a look into the possibilities of what the auto industry can evolve into in the future, provided of course that charting that course ends up being possible. Give Toyota this much credit too: it’s not afraid to go out on a limb to get people excited about the future. Applying artificial intelligence in today’s cars is way beyond anybody’s capabilities, but who’s to say that it can’t happen in the future? There was once a point in time when self-driving cars were thought to be the stuff of Jetsonian lore, but look where it is now. Ultimately, the Concept-i is nothing more than a showcase for the future of a business that could one day rely on artificial intelligence as the backbone of its products. It’s anybody’s guess how far along that future is, but in the event it does come, it’s good to see a company like Toyota already having some kind of blueprint on how to put those puzzle pieces together should the future of the industry ends up taking that route. 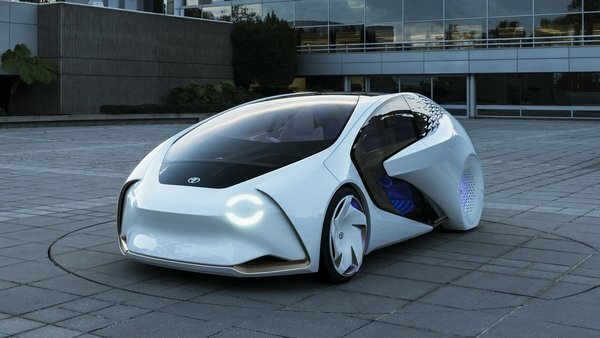 Continue reading to read more about the Toyota i-Concept.